When it comes to mastering anything, few would argue that the most rapid learning comes when we push ourselves; when we strive to solve a problem that is a stretch for our current skill level. Athletes know this. They don't simply repeat the same exercise over and over. They measure, identify an area for improvement and, push themselves to reach a new level of performance through incremental increases in difficulty to their training routines. Sadly, however, many of us miss the importance of such an approach to learning. We sit well within our comfort zones and do just enough to get by. From an education point of view, this approach explains where phrases such as "C's get degrees" come from. But what if we were to take the approach of testing our limits. Pushing ourselves to stretch beyond our comfort zones as often as possible? What levels of mastery could we attain for ourselves—or for our students—if we learn to stretch ourselves? More importantly, since most of us already instinctively know the value of stretching our capabilities, what stops us from doing it more? Set a stretch goal for your practice, something that you can't quite do yet but could achieve by the end of your practice session. Focus completely on your practice, in other words ensure you're free of distractions. Receive useful and immediate feedback. This allows you to identify that you've done something wrong immediately so that you can correct the error. Repeat, reflect and refine. 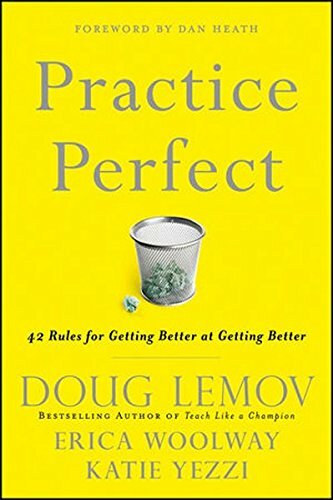 You repeat the practice approach, reflect on what works well and what doesn't, then refine your technique. Ericsson's research is the basis for the 10,000 hour rule, made popular by Malcolm Gladwell. 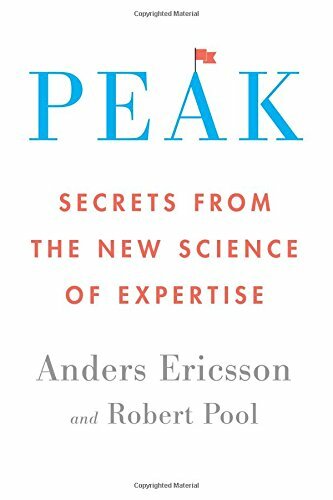 But according to Ericsson, 10,000 hours of practice will not lead to expertise. That practice must stretch your exisiting skills, in other words, it must be perfect practice. It's often said that successful people have coaches or mentors. People who keep them focused, guide their thinking or practice techniques, and of course, push them to achieve at higher levels. When it comes to stretching yourself up to or beyond your perceived limits, having a coach or mentor can be invaluable. Taking the time to find the right mentor, and then to build a strong relationship with them can not only help you to meet the criteria for perfect practice outlined above, but also keep you motivated to keep stretching your limits. What factors might prevent you from stretching yourself? Stepping outside your comfort zone always appears risky. It has to, as the outcomes are never known in advance. Yes you might fail, that's the risk of pushing yourself to your limits (or beyond them), but you'll learn, adapt and improve faster as a result. 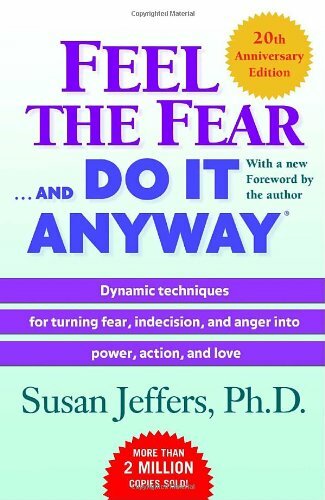 Fear seems to be a constant theme in preventing us from achieving our best, and it comes in a number of forms. Fear of failure, fear of rejection, fear of the unknown, fear of looking bad, the list goes on and on. To take on challenges that sit outside our comfort zone then, we need to learn how to face our fears, which also means learning to be courageous. Anything with risk and fear usually comes with stress. But stress isn't always a bad thing. The trick is to find the level of stress that allows you to reach your optimal level of performance. It's called the Yerkes-Dodson Law, stating that stress and performance operate on a curve. As stress steadily increases so to does performance—to a peak point—then, if stress continues to increase performance begins to steadily decline. When stretching your skills, it's worth being mindful of your stress levels so you can ensure that you don't push yourself too far. "When you go out of your comfort zone and it works there's nothing more satisfying"
Can you be taught to stretch yourself? In understanding the importance of stretching yourself to succeeding in any area, Passion Arena's programme is structured to support the improvement of specific student skills that will aide students in stretching their limits. Our first step is to introduce a range of stretch-supporting non-cognitive skills to students so that they understand the benefits of stretching themselves. Then, we'll introduce a series of focused episodes to introduce the specific strategies, encouraging students to test which strategies work best for them, and to apply these strategies to the outcomes and goals that are most important to them. To get an idea of how we introduce our non-cognitive skills and, in particular 'stretch' to students, click the button below to watch a Passion Arena episode. This one introduces the value of finding mentors or coaches. Want to find out more about stretching yourself? 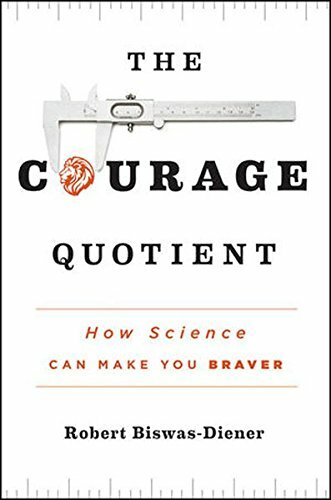 If you'd like to dive further into understanding getting out of your comfort zone, we recommend the following books. Click on the titles for more information. Below are a few videos that discuss some of the skills relating to getting out of your comfort zone. Enjoy! The academic papers below represent some of the academic papers available on deliberate practice, courage and fear. While we hope the studies below prove useful, if you have a specific area of stretching yourself you want to address, we recommend searching Google Scholar. We respect your right to privacy. We won't spam you or pass your information to third parties. © Copyright 2015–2017. The Passion Arena Ltd.